There were things to contemplate now that I am somewhat back. First, I looked over some of my old...very old...posts I had written years ago. I do admit some were super outdated. For an odder reason, I even have posts "draft" of old places I was going to publish and never did. Now I definitely won't publish those. C'mon 7 years later and majority of those places are dishes were cease to exist. I even now asked if it is worth putting posts as a musing, straight on review like I did before, or go totally in different format? It's a toughie for me and I still can't shake the rust I had completely. To be quite fair, I'm a lone wolf now with maybe a few colleagues I kept in touch with. Majority of them venture off to something else altogether. They all seemed to disappear around the same time as I do. Which was quite a bummer for me. Not depressing, but more to a fact of "oh well". Coming here to this dessert/coffee/tea joint, a very minimal kind of store that probably can probably swapped to a donut shop in a quick hurry if things were going down. The Tea Master as a name gave an indication that they are a tea shop. Yeah...... good luck with that. Tea shops selling tea leafs are going to get really tough as it is, but I realized that that's not what kept this shop going. It's the soft serve matcha ice cream (dairy flavor). 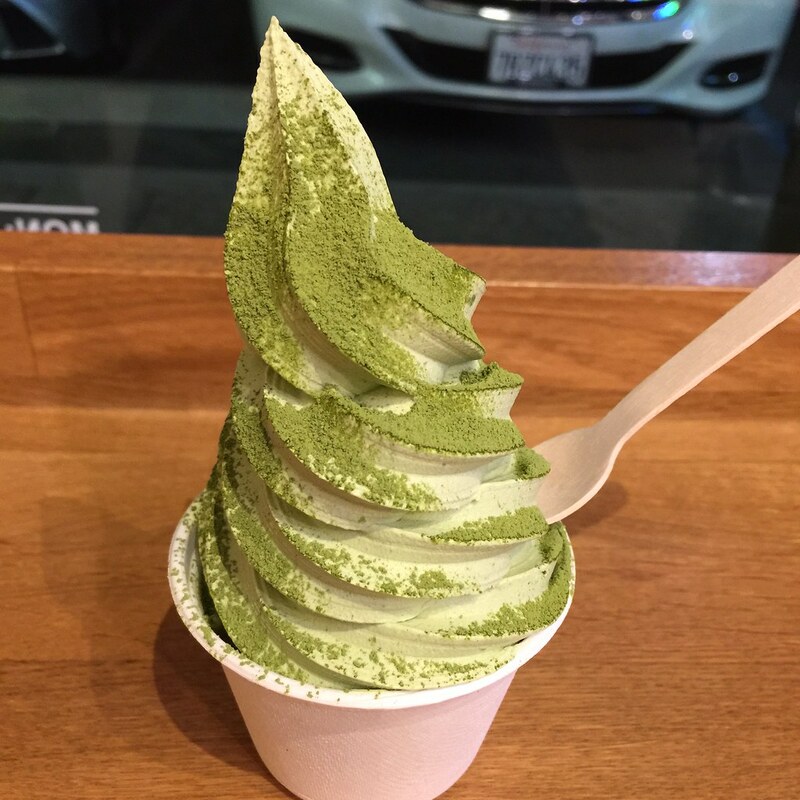 With a topping of matcha powder and hint of green tea flavor, this was an online sensation among people looking to share photos. They don't show the latte (no latte art to show off), definitely won't show off any tea (no fancy tea cups to show off), and no pastries to speak off. No, their attraction is just one simple thing. This matcha soft serve comes only in one size and one flavor. It's a take it or leave it kinda deal and was a sensational phenomenon that gets volume of small foot traffic sporadically throughout the day. Hence that's why I was thinking of doing something similar to what Tea Master is doing. Going small until you can really grow or expand. If a donut shop type store can make it in an expensive lease plaza in little tokyo with just one minor dessert, it gives me a bit an array of upbeat feel for the day. Cheers. May the little guy grow!